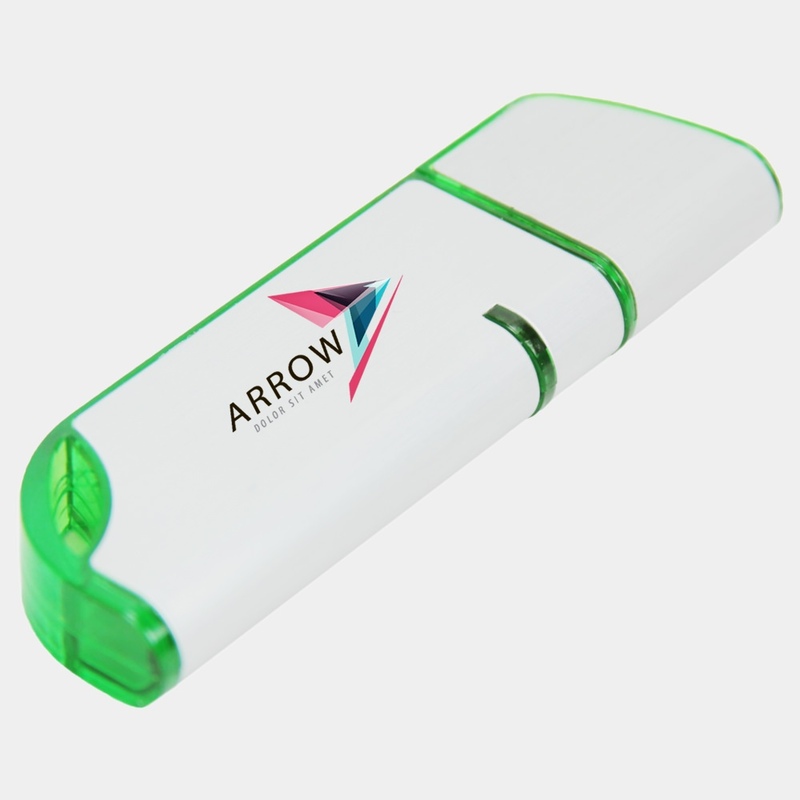 Give your data the protection it deserves with this customizable USB stick, the Sheath! 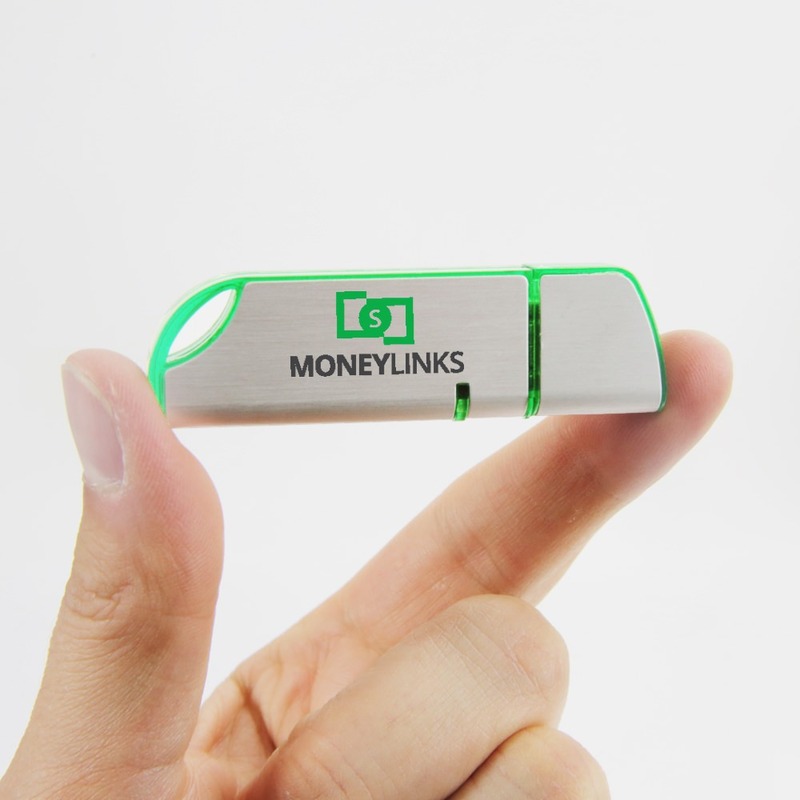 This branded USB memory stick comes with a translucent plastic insert that’s covered with a durable and attractive aluminum outer “sheath”. 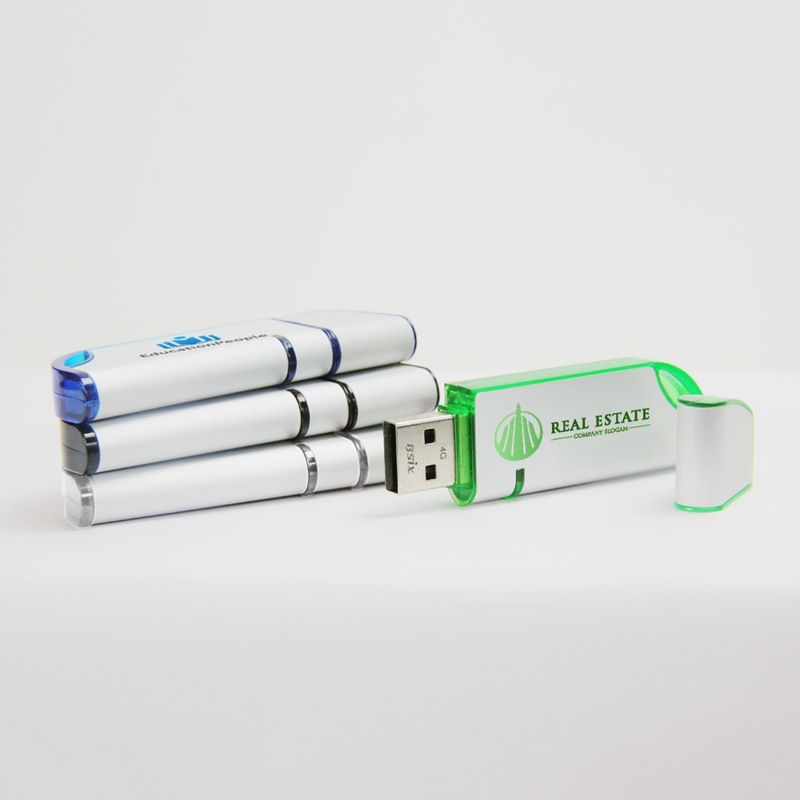 The Sheath’s aluminum surface can be silk screened, which makes it a perfect place to put your logo or personal brand. It comes with an LED indicator light and a built-in key loop. The Sheath is available with 7 day FREE shipping. 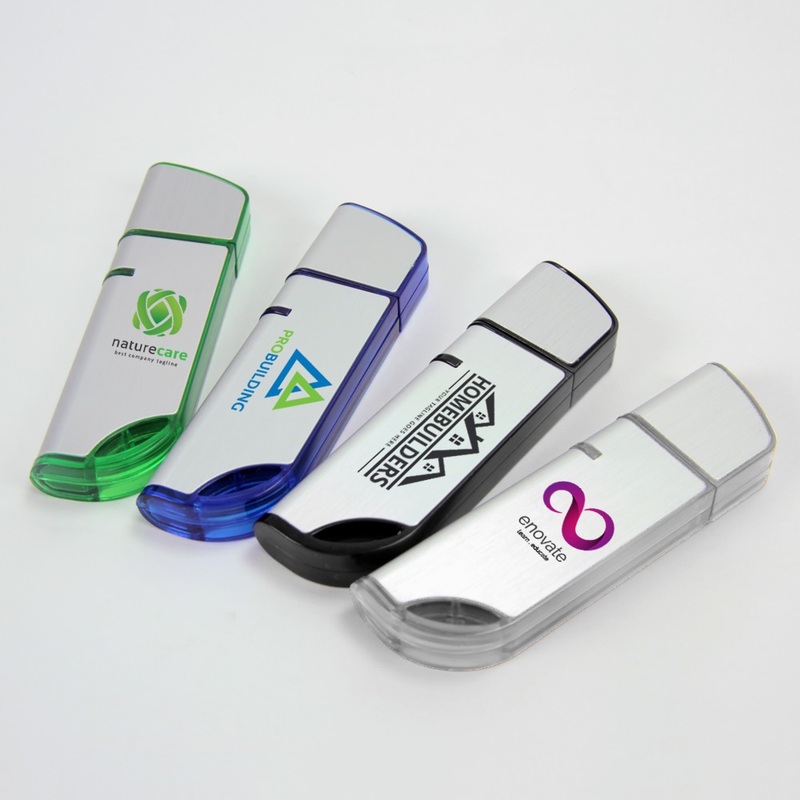 Give your data an extra layer of protection with the Sheath USB Drive! 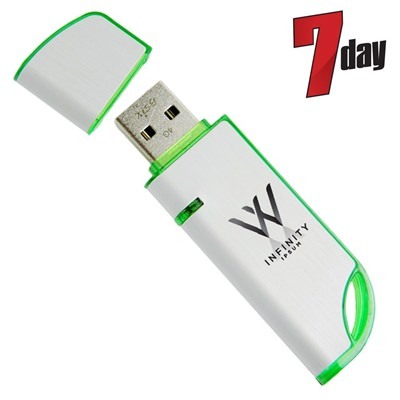 This Hi-Speed USB has a translucent plastic insert that’s covered with an aluminum outer “sheath”. This aluminum covering isn’t just handsome to behold- It’s very durable and will protect your drive from damage. It comes in a variety of different colors: Black, silver, blue, and lime green. The Sheath’s outer cover can also be silkscreened in full color, making it a great way to show off your logo or personal brand. The Sheath comes with a removable steel cap and an LED indicator light which lets you know when it’s powered on or busy. It also has a key loop, which allows it to be easily attached to keyrings, belt loops, laptop bags, straps, and anywhere else you need the Sheath ready to go. The Sheath is compatible with PC, Mac, and Linux. It has a shock resistance of 1,000G, up to 10 years of data retention, and a limited lifetime warranty. And with storage capacities ranging from 128MB to 64GB, it has plenty of room to store your documents, music, pictures, videos, presentations, multimedia, and other files. Order this branded USB drive with FREE shipping and get it within 7 business days. The Sheath also comes with Free 4-Color Silkscreen printing.